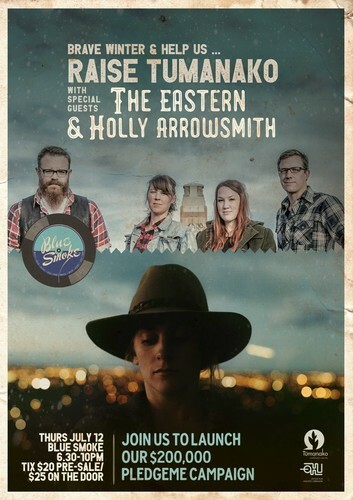 The Eastern and Holly Arrowsmith will be playing a concert to help celebrate the launch of Tūmanako's PledgeMe campaign. From July 12 - August 8th, they'll be raising $200,000 in order to help secure land, to advance design work on the building, progress the design of the operating model, get the Tūmanako Wellness Centre project investment-ready and pay the dedicated team of development, legal, corporate, investment and communications people so that they can continue to work to make this happen. They're all working for free right now. The concept is modeled around successful international models. This facility will be a world-class, best-practice, cutting-edge, green, sustainable mental health and psychiatric centre, providing exemplary clinical and complementary care alongside high-tech innovations to reach more people. Tūmanako will also be a centre of research, knowledge production and community education. They'll use 'healing architecture' and evidence-based facility design in conjunction with holistic operating model to create a facility unlike any other in Christchurch - for better patient outcomes. Come support, or spread the word! Join us.